Because everyone should be able to save a life. If a coworker or family member suddenly had a life-threatening emergency, would you be able to save them? We firmly believe everyone should have the skillset to save a life. Through First Aid, CPR, and AED training you are more likely to step up and be the hero for a person in need. Training is now also available ONLINE with skills testing held at our office. 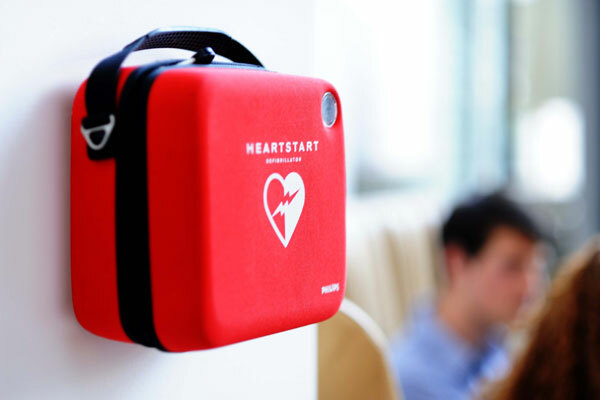 Are you currently providing FA/CPR/AED training at your company or looking at becoming a trainer? Not all training curriculum is alike. The National Safety Council curriculum is the only material that meets ALL OSHA requirements. 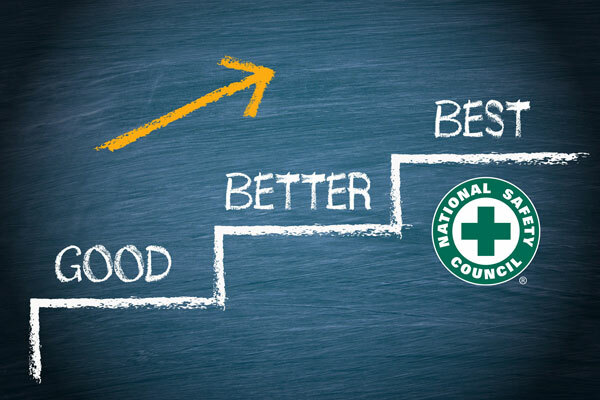 To compare NSC, American Red Cross and the American Heart Association material, click here. NSC curriculum provides cost savings for your organization. Compare the pricing of workbooks, completion cards and training material. Current instructors can be grandfathered into NSC program. For additional information or Special Group Pricing, contact your Account Manager. To learn more about these programs, or register - Click on the links below. We offer four choices for Standard adult classes. Click on any of the classes below for more information and to register. For Standard First Aid/CPR/AED combination information. For Online First Aid/CPR/AED combo information. For Standard First Aid information. We offer three choices for Pediatric classes. Pediatric training focuses on infants and children. Perfect for childcare workers, teachers, camp counselors and anyone responsible for the lives of children. Click on any of the classes below for more information and to register. For Pediatric First Aid/CPR/AED combination info. For Pediatric First Aid information. For Safe With You training information. We offer three choices for Combination classes. These training classes include training for adult and pediatric training. Click on any of the classes below for more information. For Combination Adult and Pediatric First Aid/CPR/AED information. For Combination Adult and Pediatric First Aid information. For Combination Adult and Pediatric CPR/AED information. We offer a variety of classes for professional health care providers. Click on any of the classes below for more information. For Basic Life Support for Health Care & Professional Rescuers information. For BLS Refresher for Health Care & Professional Rescuers information. 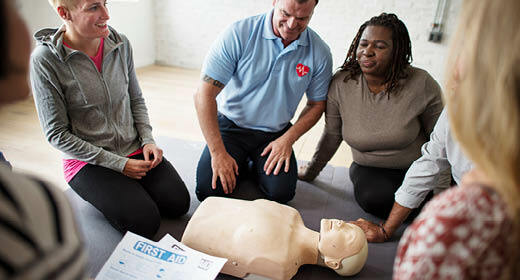 For Train the Trainer - Instructor Development Course for FA/CPR/AED information. For Bloodborne Pathogens Online information. Teach others to save lives by becoming a certified NSC Instructor. Be prepared to teach Adult or Pediatric First Aid, CPR & AED, Basic Life Support, or Bloodborne Pathogens.